Welcome to the website of Linda Merino and Victor Zolezzi, The Seniors Real Estate Specialists. Helping hearts, serving the aging and their families as community service volunteers and SRES Realtors providing professional real estate services. 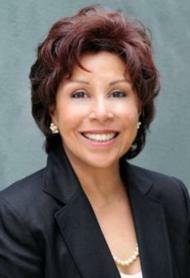 Linda and Victor also help families through the difficult times of the Probate process as Probate Realtors. Refer to the Probate Services tab above. In addition to serving the unique needs of the aging and elderly, Linda and Victor also enjoy serving clients of all ages by providing assistance and professional guidance to accomplish their real estate goals. Because Linda and Victor hold our elderly in high esteem, they are passionate to serve the special needs of the aging, understanding the emotional demands the sale of a home and transition can make on a senior. They have repeatedly earned the trust and respect of senior clients, their adult children and families, by working very closely with them, intently listening to their needs and desires, with patience and sensitivity, compassion and respect. It is hard to deal with leaving a home after spending many years in it; the place where children were raised, the safety and security of a family unit, the physical space where your oldest and dearest memories reside. For seniors, it can signify the best years of their lives, where friends and community ties were made. Linda and Victor can help. As Seniors Real Estate Specialists (SRES), you can count on them to guide you through the complex process and the special considerations of such a sensitive transition, making the experience less stressful and more successful. They can help you through this entire process, covering everything from A-Z. Here you will find a wide variety of useful information and resources designed to help you buy or sell a home more effectively in the San Mateo County, San Francisco County areas. From information on the local community, to advice about finding a mortgage or preparing your home to sell, it's all available here on our web site. You can also search for your ideal home by viewing current listings with detailed descriptions and photos. Just click on the "Search for Homes" tab at the top of this page. Want to know the current value of your home ? Simply contact us for a Complimentary Comparative Market Analysis by requesting a CMA report that includes the prices of similar homes that recently sold or are currently for sale in the San Mateo County, San Francisco County areas. Francisco Bay Area. His extensive background in the construction and the building industries set a strong foundation in his knowledge of all real estate sectors - residential, commercial, industrial and retail. Victor has a broad background in contracting law, business law, real estate law, document management and finance. His professional experience, dedicated attitude, analytical skills, attention to detail, ability to identify potential, strong negotiation skills and knowledge base guide his clients in achieving their real estate goals. Victor is a 3rd generation San Francisco native, and knows the local history and uniqueness of the area. Before joining Coldwell Banker Residential Brokerage, Victor was previously affiliated with Anagnostou Properties, Coldwell Banker Roseville-Granite Bay, Century 21,Keller Williams,and McGuire Real Estate. He specializes in San Francisco and San Mateo Counties. click on specific "Stats" selections at the top of this page. So whether you're buying or selling, feel welcome to contact Victor and Linda and they will be happy to help you with all of your real estate needs. * Does your present home provide the best environment for the physical needs you have ? * Are finances keeping you from enjoying the home you've loved for so many years ? * Do you desire more independence and monthly income, while maintaining financial security ? * Is it now your time to enjoy the things you've always wanted to have or do ? * Are you thinking of downsizing ? * Do you desire a new living situation ? * Do you feel you have adequate security and access to professional care where you are presently living ? WE AND OUR TEAM CAN HELP YOU - Contact Us to learn more about solutions, options and a variety of choices to better live your life style today and as your future takes shape. Click below for more information. Whether you're looking for your first home, your dream home or an investment property, Victor is committed to providing you with the highest quality buyer service. When making the type of investment that buying a home requires, you deserve to have all the latest market information and the very best advice, both of which he can provide you with. Read more. The decision to sell a home is often dependent on many factors. Whatever your reasons are for selling, Victor's proven effective marketing strategies will ensure that you get the highest possible price for your home. He will guarantee to provide you with professional, ethical and confidential service and keep you fully informed every step of the way. Read more.